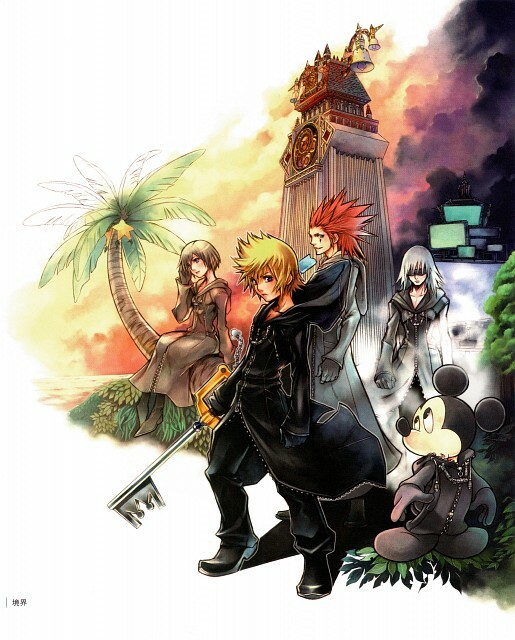 Self scanned from Kingdom Hearts Series Memorial Ultimania. Browse Kingdom Hearts Gallery: Recent | Popular. Who's that girl (I think) in the background? She's Xion, the 14th member of the Organization. OMG i wanna play this NAOO! The game will be released September 29th in the US. I've been searching for a good scan of this, so thanks! Great scan! Thanks for sharing. WHO THE HELL iS THAT GIRL? NICE SCAN! Thanks for the scan! Amazing scan! Thanks for sharing! The game is great too! Why is Axel holding ice cream? I thought he hated that stuff. nice , nice , thanks for sharing.